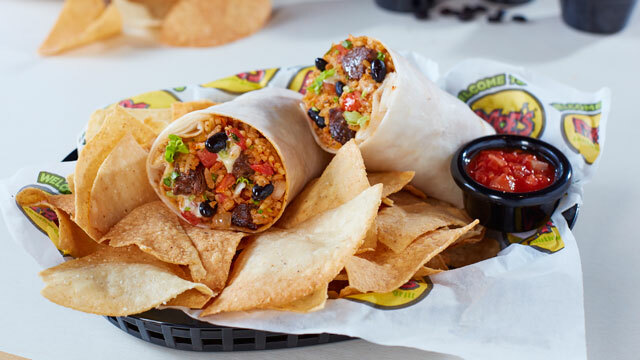 (SPOT.ph) It has just been confirmed that Moe’s Southwest Grill will be opening their first branch in the Philippines on June 14, and they’re offering their world-famous burrito at only P10 on the restaurant's first two days! Here's how it works: Anyone who will dine in at Moe’s Southwest Grill from 10am to 9pm will be entitled to one chicken or ground beef burrito for only P10. It comes with soft flour tortilla with southwest rice, cilantro, lettuce, queso sauce, beans, and pico de gallo. It’s that easy, guys. And if you’re eager to try their other offerings, you can try their burrito bowls, quesadillas, nachos, salads, tacos, and their signature stacks. Every meal is made with the freshest ingredients and served with a free serving of chips and salsa. Mark your calendars and spread the word! Follow Moe's Southwest Grill on Facebook and visit their website to know more. Moe's Southwest Grill is located at Uptown Bonifacio, Taguig.